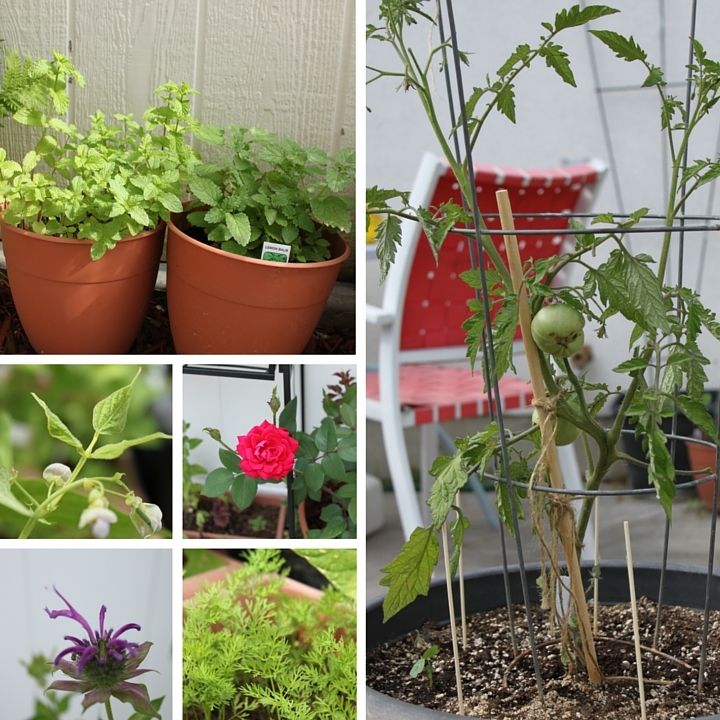 The garden is starting to approach full-swing status now that we've hit the summer solstice. It's exciting to wander back there and see all the new growth. My carrots and beans are proving to be quite successful this year, I hope. They're big and bushy, and right on schedule for growth. The beans have even begun to flower! I hope that I get a successful crop of carrots and beans this year. I've never been able to get them to turn out before, but this year looks promising! The catnip is huge now, and it makes a nice border along the back fence. It's almost three feet tall, and covered in tiny white flowers. 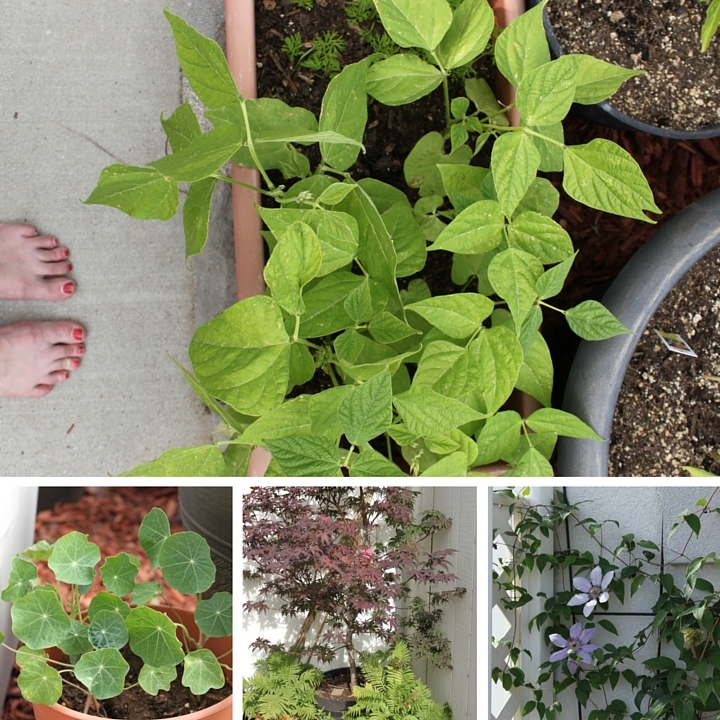 Next to it, the moonflower and morning glory seedlings are starting to grow taller. I hope they'll climb up the stool and cage and fill up the corner with green. The roses continue to bloom ad it's exciting to see all the varieties I have now. I love mixing flowers in with veggies on the patio. It's fun to see what comes of it all. Speaking of veggies, the cucumbers, zucchini, melons, peppers, and tomatoes have all started to take off! The seedlings from seed are still quite small but are starting to grow a lot of leaves quickly. The tomatoes have a few fruit forming, and if I can get the blossoms to quit falling off in this nasty heat wave, we'll have a lot of them again this year! The strawberries did quite well until about a week ago. They've pooped themselves out for a little bit by giving me constant handfuls of berries for a month. The heat has signaled them to stop producing berries for a while, also. I imagine we'll have another nice flush of berries later in the summer when it starts to get cooler. If all the veggies turn out, this year will be a highly productive year! I keep crossing my fingers that they'll survive this insane heat we're having already. They're all just little, and I'd hate to lose my crops this year because it just won't cool down. 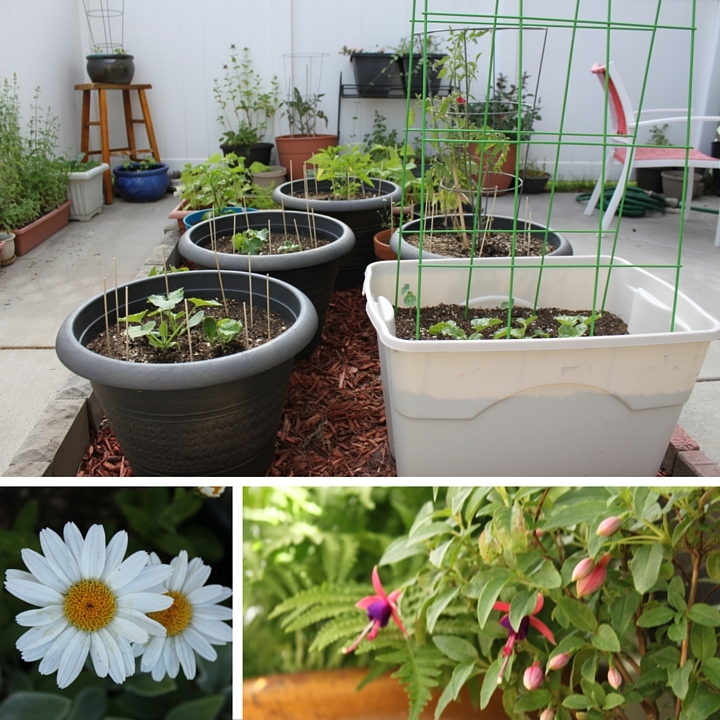 ++ How's your garden coming along this year? What are you growing? This is pretty awesome ! 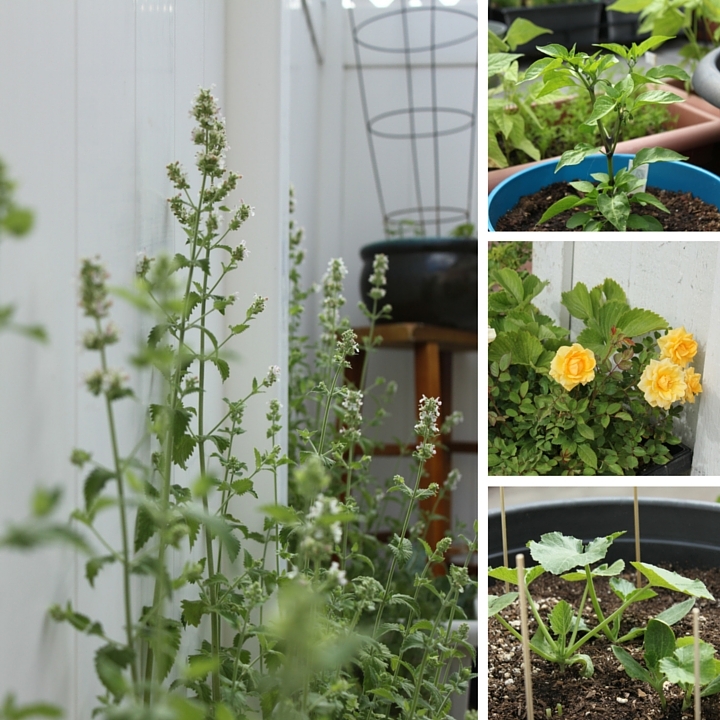 I was actually just talking to my family recently how I want to start my own herb garden .. specifically tea, like mint! Loved the post , it's clear your garden is growing nicely! Ah! I'm so jealous! There's no room on our apartment patio for any sort of plant/garden and I cannot wait until I have a backyard where i can have one!